A company that offers free mobile apps that prepare students for college entrance exams has partnered with more than 30 universities worldwide to help them engage and recruit prospective students worldwide. Ready4 has signed on Massachusetts Institute of Technology (MIT), Georgetown University, University of North Carolina at Chapel Hill, Boston College, Monash University and more partners looking to reach prospective students using its apps. Students tap Ready4's free apps to prepare for ACT, PSAT, SAT, GRE, GMAT, MCAT and more. Image Credit: Ready4. 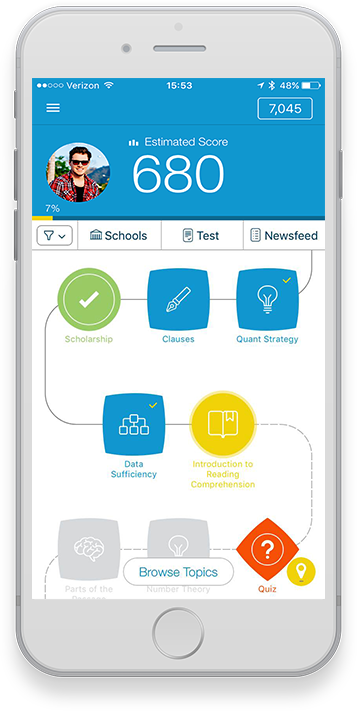 Ready4 offers a suite of seven apps that prepare students for tests like the ACT, SAT, GRE, GMAT and MCAT, as well as résumé building, job preparation and more — all available at no cost to students. More than 1.56 million mobile users that span 195-plus countries use the apps, according to a news release. The company has worked with more than 500 universities, offering admissions, recruiting and marketing teams data-driven insights through its adaptive mobile platform. Recently, Ready4 launched a pilot program with Harvard University’s HBX Credential of Readiness (CORe) — a program jointly offered by its business school’s online education initiative HBX and Harvard Extension School. According to a news release, HBX CORe will utilize the company’s lead generation and marketing programs, “including in-app notifications, e-mail promotion and newsletter inclusion,” to engage students with the program. To learn more, visit the Ready4 site here.